Invitation to the Archive Lecture of the BSA. 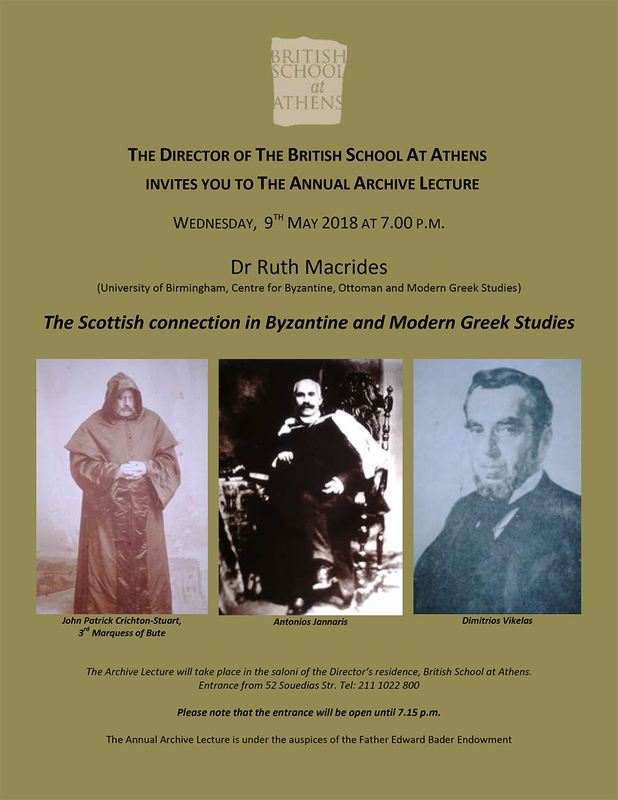 Dr Ruth Macrides (University of Birmingham, Centre for Byzantine, Ottoman and Modern Greek Studies) will address the topic “The Scottish connection in Byzantine and Modern Greek Studies”. This will be the Annual Archive Lecture organized by the British School at Athens.